Australian composer and viola player Brett Dean studied in Brisbane before moving to Germany in 1984 where he was a permanent member of the Berlin Philharmonic Orchestra for fourteen years. Brett returned to Australia in 2000 to concentrate on his growing compositional activities, and his works now attract considerable attention, championed by conductors such as Sir Simon Rattle, Markus Stenz, Andrey Boreyko and Daniel Harding. One of the most internationally performed composers of his generation, much of Dean’s work draws from literary, political or visual stimuli, including a number of compositions inspired by paintings of his wife Heather Betts. Brett Dean began composing in 1988, initially working on experimental film and radio projects and as an improvising performer. He became established as a composer in his own right through works such his clarinet concerto Ariel´s Music (1995), which won an award from the UNESCO International Rostrum of Composers. and Carlo (1997) for strings, sampler and tape, inspired by the music of Carlo Gesualdo. He has since been commissioned by the Berlin Philharmonic, Concertgebouw Orchestra, Los Angeles Philharmonic, BBC Proms, Lucerne Festival, Stockholm Philharmonic, Cologne Philharmonie, BBC Symphony, Melbourne Symphony and Sydney Symphony Orchestras among others. Recent highlights for Brett Dean have included the European premiere at the 2007 BBC Proms of a commission for chorus and orchestra called Vexations and Devotions, with the BBC Symphony Orchestra and Chorus, Gondwana Voices and conducted by David Robertson. Earlier in 2007, Dean’s violin concerto – The Lost Art of Letter Writing – co-commissioned by the Cologne Philharmonie and Stockholm Philharmonic, was premiered by Frank Peter Zimmermann and the Royal Concertgebouw Orchestra conducted by Dean himself, and only a few weeks earlier the Birmingham Contemporary Music Group premiered Wolf Lieder for ensemble and mezzo-soprano. Brett Dean is currently Artistic Director of the Australian National Academy of Music and continues a varied musical life as a performer alongside his composing, appearing widely as soloist, chamber musician and conductor. Since 2005 Dean has been performing his own Viola Concerto as soloist, notably with the BBC Symphony Orchestra, Los Angeles Philharmonic, Sydney Symphony, Orchestre National de Lyon, Hamburg Philharmonic, BBC Philharmonic, West Australian Symphony and Malaysian Philharmonic. He has performed numerous premieres of solo and chamber works by some of the leading composers of our time and has also appeared as soloist with the Berlin Philharmonic, RSO Frankfurt and Montreal Symphony. 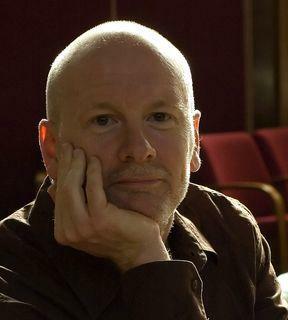 Dean has conducted a number of orchestras and ensembles in his own music as well as contemporary and 20th century works, including the Los Angeles Philharmonic, Concertgebouw Orchestra, Melbourne Symphony, BBC Philharmonic, West Australian Symphony, Netherlands Chamber Orchestra, Swedish Chamber Orchestra and Birmingham Contemporary Music Group. Dean was featured in the season 2007/8 with the SWR Symphonieorchester Stuttgart including performances of his music and as concerto soloist in Hindemith’s Der Schwanandreher, in chamber music and conducting a new music concert. Further ahead he is writing new works for the Lucerne Festival, the Berlin Philharmonic and Rundfunkchor, the Royal Liverpool Philharmonic, a Carol for the Choir of King’s College Cambridge and an opera Bliss, based on Peter Carey’s novel of the same name, for Opera Australia. In December 2008, Brett Dean was awarded the Grawemeyer Music Prize for his violin concerto, The Lost Art of Letter Writing.